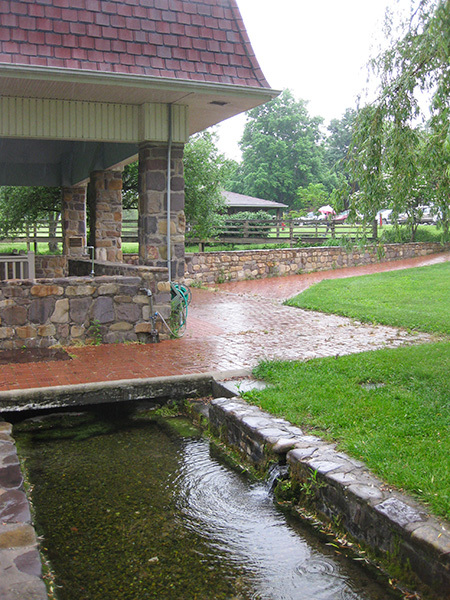 Located in the Shenandoah Valley, this 70-acre property’s history as a restorative gathering place dates to 1816 with the arrival of Taylor’s Springs, a Methodist camp meeting site. By the mid-nineteenth century a medicinal resort featuring seven natural springs was established, and by 1910 a hotel and other amenities were present. 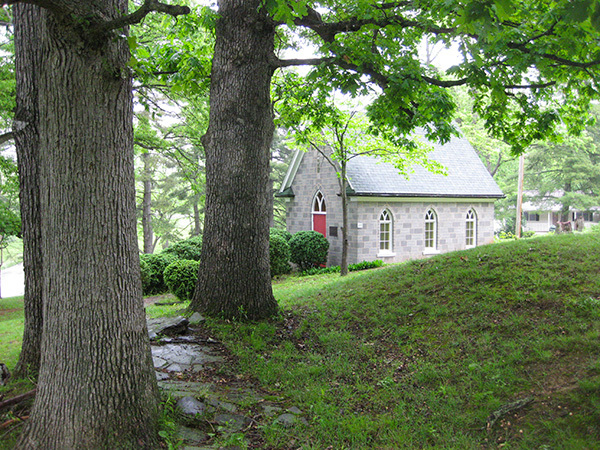 In 1922 the site was returned to a more religious function with the establishment of a Presbyterian bible school and conference center, with a plan for the site developed in 1923 (revised three years later) by landscape architect Charles Gillette. 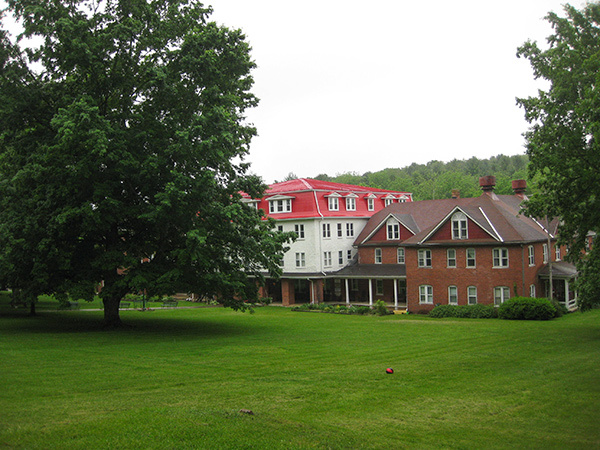 The design included formalized entrances, curvilinear roads, a Picturesque setting for cottages on a hillside, and a site designated for a school near the hotel. 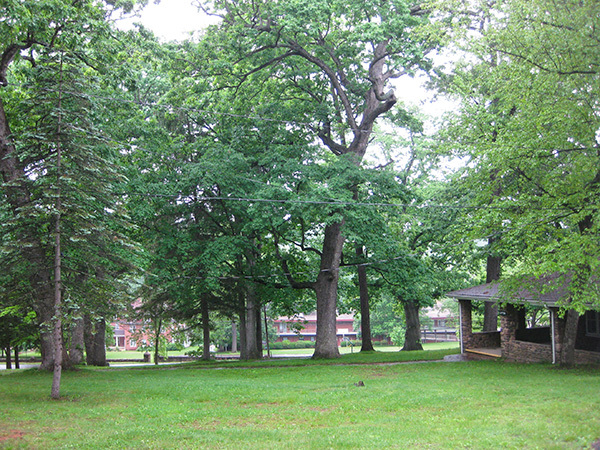 An amphitheater accommodated pageants, and a power plant, athletic fields, and “the Grove” of cottages were constructed near an open-air auditorium. By the mid-1950s bathhouses, campgrounds, and a swimming pool were added and, on a wooded ridge west of the hotel, four rustic cabin villages were designed by architect W. Glen Wallace. 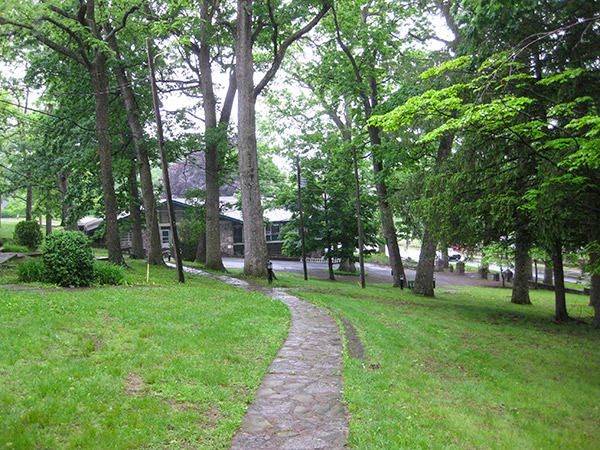 The site served as a year-round conference center from 1963 to 1989, closing briefly, and reopening in 1991. 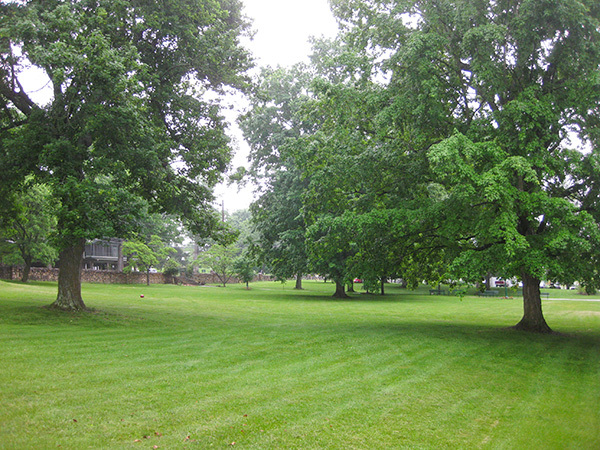 Today the grounds continue to serve as an encampment for the Presbyterian Church. 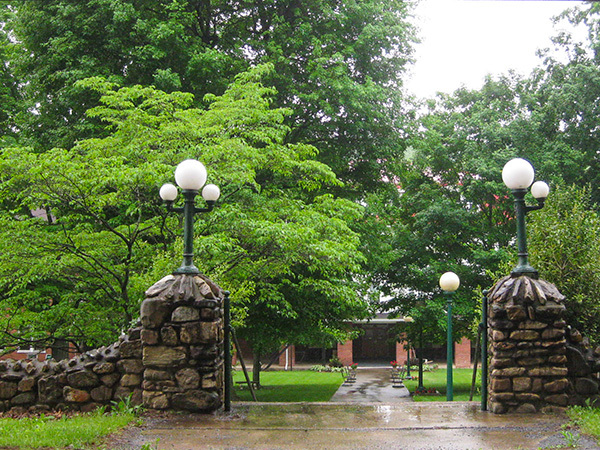 The historic spring, capped by a contemporary springhouse, the 900-seat amphitheater, and the hotel lie at the center of the composition, flanked by historic cabins, pavilions, and auditoriums. 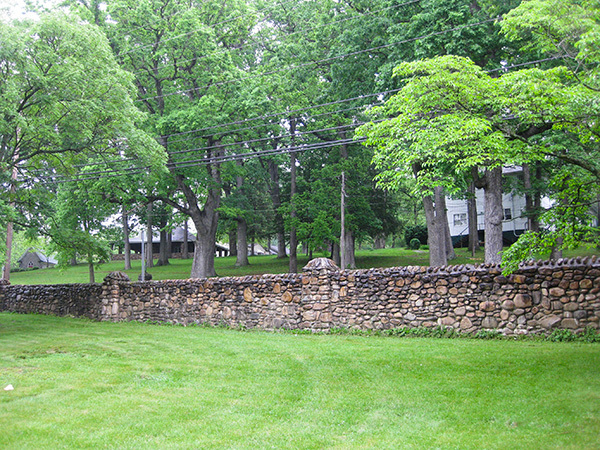 Flagstone walks, cobblestone-lined drainage ditches, rock walls, and stands of mature trees contribute to the rustic, Picturesque setting. 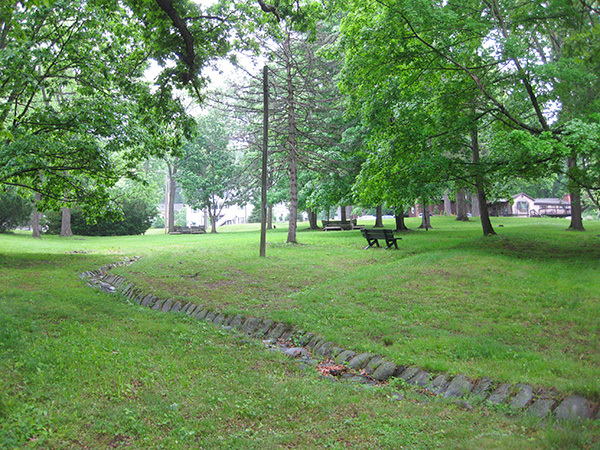 Massanetta Springs Historic District was listed in the National Register of Historic Places in 2005.